​Cantor Karen Neff Kumin has been part of the clergy team at Yavneh: A Jewish Renewal Community, in Raleigh, North Carolina, since 2010. Since moving to Durham, NC from Brooklyn, New York, in 2008, she has served as a Bar/Bat Mitzvah tutor and Hebrew school teacher at The Kehillah Synagogue in Chapel Hill and Judea Reform Congregation in Durham. She also teaches Early Pre-K students at Beth El Preschool in Durham. Cantor Kumin (pronounced “k-yoo-min”) was ordained in 2006 at the New York campus of Hebrew Union College-Jewish Institute of Religion. Cantor Kumin's Master’s thesis explored the Yiddish-English radio programs of the 1930s and ‘40s. For her senior recital, she recreated an old-time radio show, complete with announcers, guest artists, and a klezmer ensemble, which she also had the chance to perform in concert for the Hebrew Actors' Union on the Lower East side of New York City. From 2006-2008, she served as congregational Cantor at Temple Emanu-El in Edison, New Jersey, where she had the pleasure of sharing the bima with guest artists Dan Nichols, Debbie Friedman, Craig Taubman, and Neshama Carlebach. From 2008-2011, she traveled every year to be the High Holy Day Cantor for Congregation B'nai Chaim in Morrison, Colorado. As a student, Cantor Kumin worked at the Village Temple in Manhattan, the Jewish Home and Hospital in the Bronx, and the Jewish Center of Northwest Jersey in Washington, New Jersey. 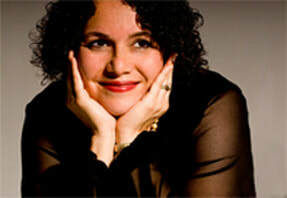 Cantor Kumin is originally from the Philadelphia area, where she received Bachelor’s degrees in English Literature (from the University of Pennsylvania) and Voice Performance (from Temple University). While in Philadelphia, she played roles in various theater and opera productions, including Gilbert and Sullivan’s The Gondoliers and Patience, Verdi’s Aida, and J. Strauss’s The Gypsy Baron. In 1998, Cantor Kumin became Bat Mitzvah with five other adults, and, soon afterward, traveled to Israel to study Hebrew and Jewish studies at the World Union of Jewish Students (WUJS) Program in the tiny desert town of Arad, to decide whether her long-time dream of becoming a cantor would be possible. After an eye-opening and moving stay in Israel, she entered HUC-JIR's School of Sacred Music (recently re-named The Debbie Friedman School of Sacred Music), and began the journey that has taken her to North Carolina's “Triangle”. ​“Cantor K” lives in Durham with her husband, Jeremy, and with two very spoiled dogs, both Shepherd mixes.